There are three types of Michigan misdemeanor charges: misdemeanors punishable by up to 93 days in jail, misdemeanors punishable by up to one year in jail, and high court misdemeanors which are punishable by up to two years in prison. 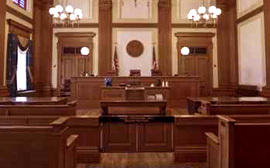 High court misdemeanors, unlike other misdemeanors, follow the same procedure as a felony charge and their final disposition takes place in Circuit Court, rather than District Court. A Michigan misdemeanor charge is a criminal offense. The punishment for a misdemeanor conviction can include jail, a criminal conviction on you record, probation, fines and costs and community service. The consequences of a criminal conviction can go beyond the sanctions imposed by a judge: a misdemeanor conviction may prevent you from remaining in the country as an immigrant; hurt your ability to get a job and/or bar you from certain occupations; and prevent you from possessing firearms. Despite the potential negative consequences, you do have a range of options that may be used to keep your record clean and avoid jail. First of all, the evidence in your case has to be reviewed carefully to determine if there are any defenses available that may be used to avoid a conviction altogether. Mr. Buehner will provide you with a thorough explanation of all of your options including your likelihood of winning at trial, an analysis of any evidentiary issues which may weigh in your favor and the possibility of a negotiated plea agreement. Fortunately, there are many ways to minimize, or avoid, the impact of a criminal charge. The first possibility is an acquittal or dismissal of your charge. If the prosecutor doesn’t have sufficient evidence to prove their case beyond a reasonable doubt, or the evidence was obtained in an illegal manner, you may be found ‘not guilty’ or your case may be dismissed by a judge. Our attorneys have obtained numerous acquittals and dismissals in courts throughout Metro Detroit. Even where the evidence is strong, it may be possible to negotiate an arrangement that avoids the mores negative consequences of a misdemeanor charge. Plea bargaining with the prosecutor and/or entering into a sentencing agreement with the judge may result in a more favorable outcome for your case. In certain courts, alternative sentencing programs and/or diversion programs may be available to avoid a conviction altogether. 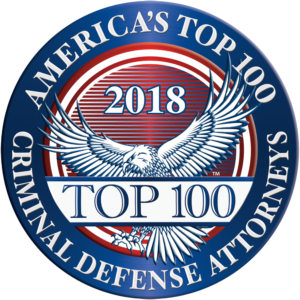 We understand that there is a lot more to your life than a criminal charge and convincing the judge and prosecutor to look beyond the charge and see the positive aspects of your life is an integral part of our defense strategy. Our attorneys have effectively defended hundreds of clients charged with all types of misdemeanors in courts throughout the state of Michigan. We have a proven track record of helping our clients find reasonable solutions to their criminal charges. We can help you, too. If you’d like a free consultation with an experienced Michigan criminal attorney, call Jeffrey Buehner at (248) 865-9640 or fill out our Free Consultation form. Michigan misdemeanor attorneys serving Oakland, Wayne, Macomb, Livingston and Washtenaw counties. We defend any misdemeanor assault charge including Domestic Violence, Domestic Violence 2nd Offense, Aggravated Assault & Aggravated Domestic Violence. Breaking and entering or entering a building without permission (also known as ‘illegal entry’) is a misdemeanor punishable by up to 93 days in jail. A driving on a suspended license conviction can result in additional license suspensions, jail time and expensive fines and costs. We’ve helped many clients negotiate resolutions that avoided a driving with a suspended license conviction. A DUI conviction can have a devastating impact on your life: driver’s license suspension, jail, alcohol testing, and probation are just some of the potential sanctions that can follow a DUI conviction. 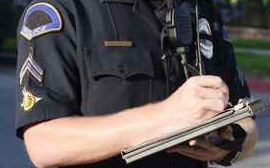 We defend all DUI charges including Operating While Impaired (OWVI), Operating While Intoxicated (OWI), Operating with High BAC (aka – ‘super drunk’), Minor Operating with BAC (aka ‘zero tolerance’), Operating with Presence of Drugs, Operating While Intoxicated – Child Endangerment and 2nd Offense Drunk Driving. Embezzlement is charged as a misdemeanor in situations where the amount allegedly embezzled is under $1,000. A misdemeanor embezzlement conviction has the potential to destroy your career, so don’t entrust your future to anyone other than the experienced embezzlement defense attorneys at Jeffrey Buehner, PLLC. We’ve won ‘not guilty’ verdicts at trial and negotiated plea agreements that kept embezzlement convictions off of our clients’ criminal records. An indecent exposure charge can be an embarrassing and stressful charge to deal with. We’ve represented many people charged with Indecent Exposure and we know how to handle these situations in a discrete and effective manner. If your child is under the age of 17 and they’ve been charged with a misdemeanor charge, it will be prosecuted in the Family Court Division of Circuit Court (aka ‘Juvenile Court’). Jeffrey Buehner is a former Assistant Oakland County Prosecutor who was assigned to the Juvenile Justice Division. As a defense attorney, Mr. Buehner has helped many young people avoid detention and convictions using his extensive knowledge and experience in Juvenile Court. Larceny involving items valued at less than $1,000 is usually charged as a misdemeanor. Larceny in a Building, irrespective of the value of the items allegedly stolen, is a felony if charged under Michigan state law. 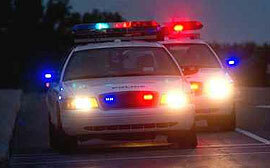 Larceny in a Building is, however, often charged under local city ordinance, in which case it is a misdemeanor. Willful and malicious destruction of property valued at less than $1,000 will result in a misdemeanor charge. Receiving and/or Concealing Stolen Property valued at under $1,000 is a misdemeanor. Retail Fraud (aka ‘Shoplifting’) is charged as a misdemeanor if the defendant has no prior Retail Fraud convictions and the value of the merchandise allegedly stolen was under $1,000. 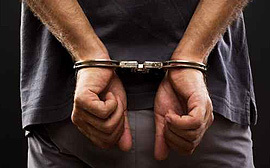 We handle all misdemeanor Retail Fraud charges including Retail Fraud 3rd Degree and Retail Fraud 2nd Degree. We represent clients throughout the Metro Detroit area on any misdemeanor charge including Drag Racing, Reckless Driving and Failure to Stop and ID After Property Damage /Personal Injury Accident. We’ve helped our clients achieve substantial reductions in their charges and avoid costly insurance increases. If you’d like a free consultation with an experienced Michigan misdemeanor criminal attorney, call Jeffrey Buehner at (248) 865-9640 or fill out our Free Consultation form.